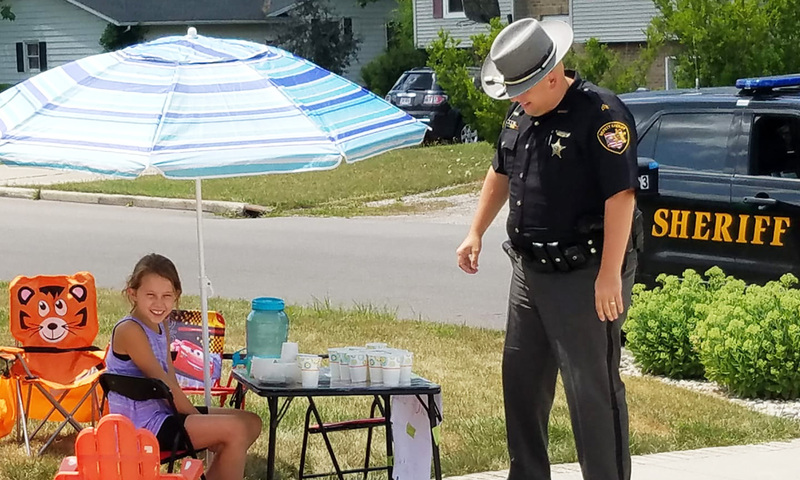 At least three law enforcement officers in Defiance, OH are made sure one little girl had a successful day selling lemonade at her stand on Saturday. A post on the Facebook page Current Events in Defiance, OH shows two Defiance Police officers digging into their wallets for cash as the little girl smiles broadly. Not only did they make her day, but they paid ahead for her next customers. Not to be outdone a deputy from the Defiance County Sheriff’s Office stopped by for a refreshment and to keep paying it forward.